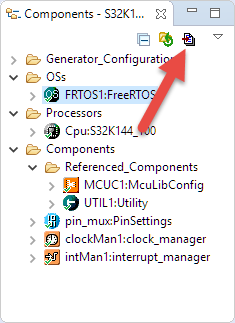 So what to do if I want to use the latest FreeRTOS (currently 10.0.1) with all the bells and whistles? 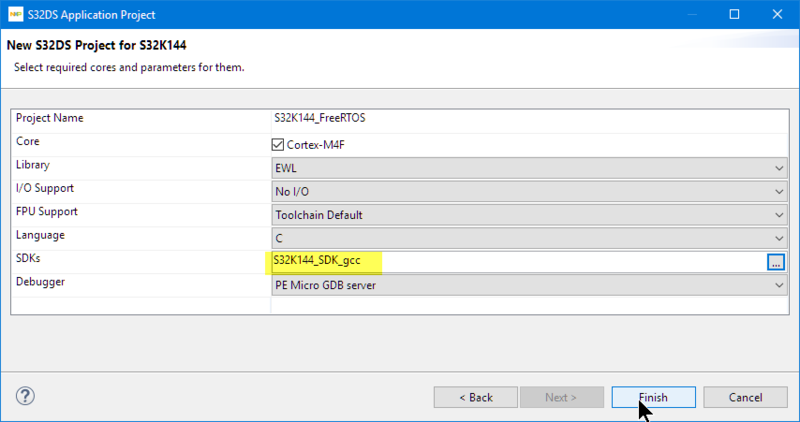 The latest FreeRTOS V10.0.1 has many benefits: it is under a more permissible license, plus it comes with all the latest features like static memory allocation or direct task notification. 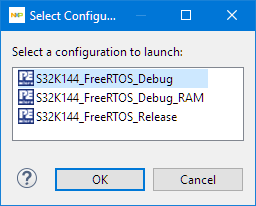 Because it is not possible to directly update the FreeRTOS component in S32DS, I’m using the McuOnEclipse FreeRTOS component for S32DS. 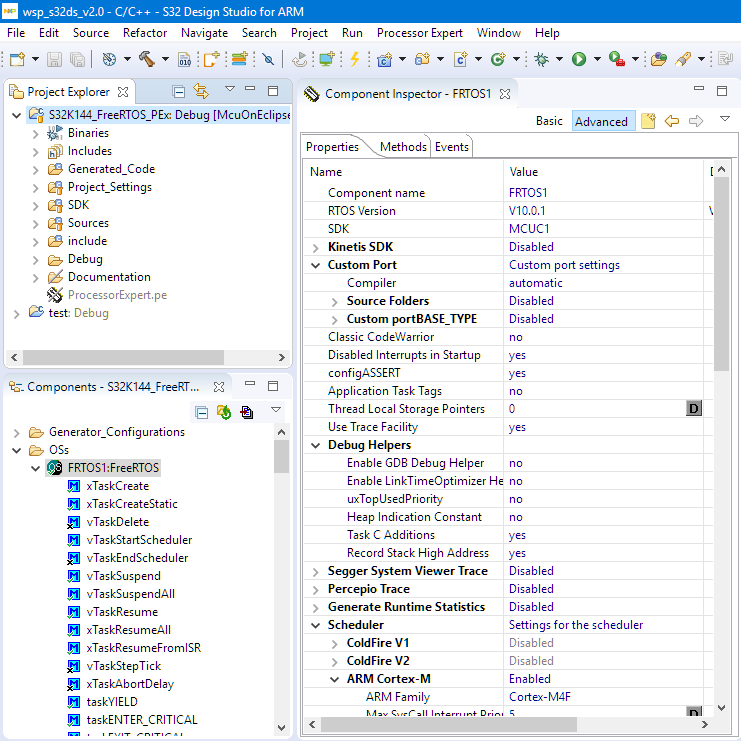 That component version is always up to the latest FreeRTOS version, supports multiple IDE’s (CodeWarrior classic, CodeWarrior for MCU 10.x, Kinetis Design Studio, MCUXpresso IDE and now as well S32DS) and a broad range of microcontroller (S08, S12, DSC, ColdFire, Kinetis and now as well S32DS). 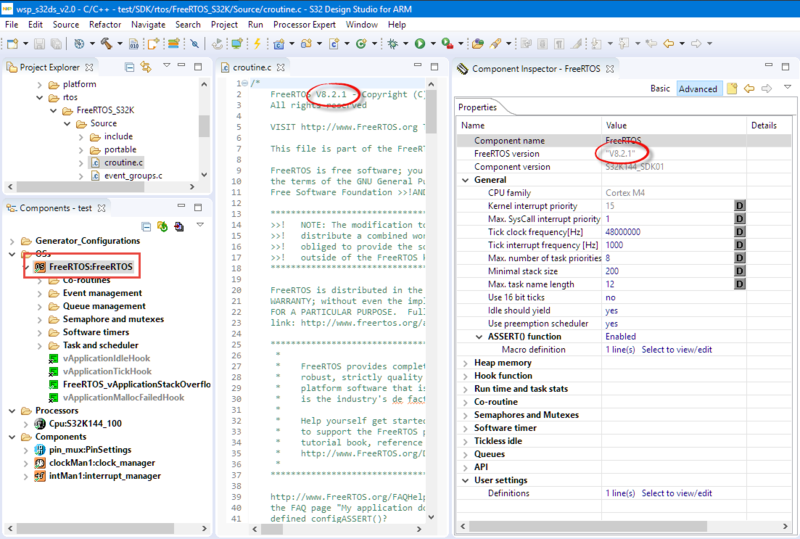 Additionally it seamlessly integrates SEGGER SystemView/RTT and Percepio FreeRTOS Tracealyzer. 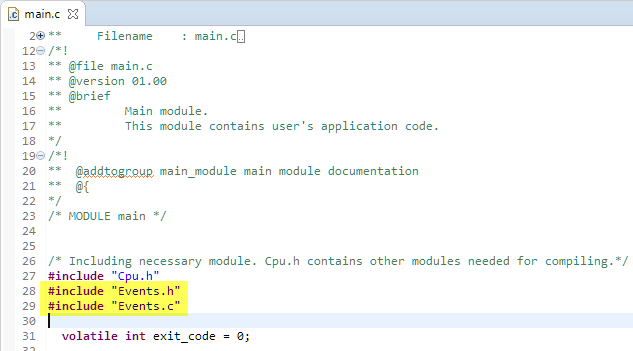 💡 At the time of this article not all McuOnEclipse components have been ported to S32DS. More components will be released in the future. 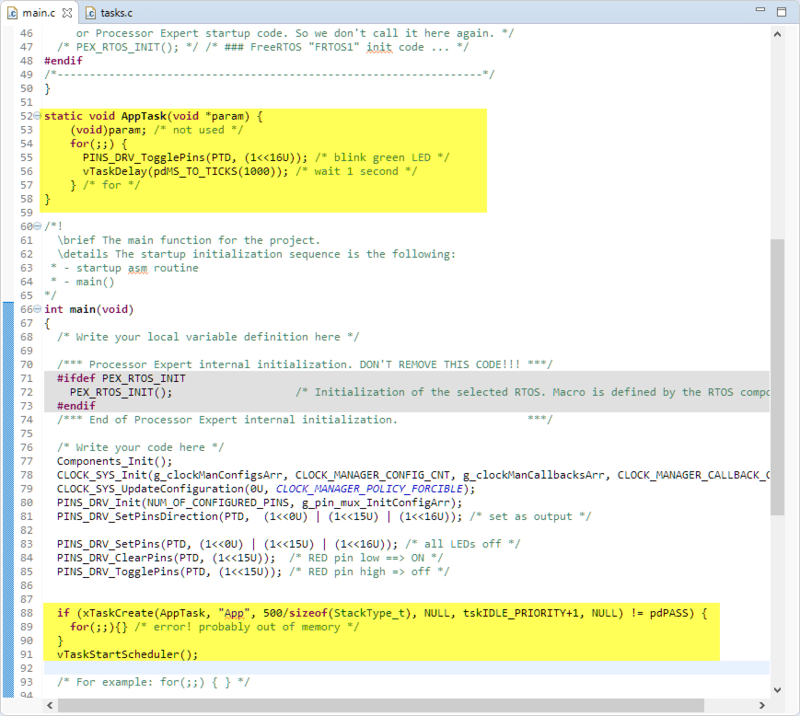 This article describes how to add and use the FreeRTOS 10.0.1 McuOnEclipse components in S32DS, followed by a tutorial how to create a FreeRTOS project for the S32K144EVB board. In a first step we create a simply basic project we can debug on the board. Congratulations! You can now terminate the debug session with the red ‘stop’ button and switch back to the C/C++ perspective. This is to initialize the clock and GPIO pin drivers, followed by turning all LEDs off and then the Red one on and off. Build and debug it on the board to verify everything is working as expected. You need at the 1-July-2018 release or later. Download from SourceForge the latest zip file and unzip it. 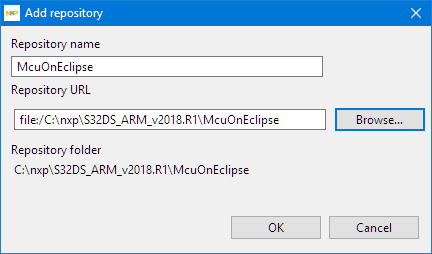 💡 I’m using below the McuOnEclipse folder inside the S32DS installation folder. Create that folder first if it does not exist yet. 💡 Unfortunately, this is a manual process :-(. Whenever you add/remove a component, make sure you update the Components_Init() function. The next manual thing is about Processor Expert events. In other IDE’s Processor Expert is creating proper event modules. In S32DS it only adds the events to the Events.c which is not complete. 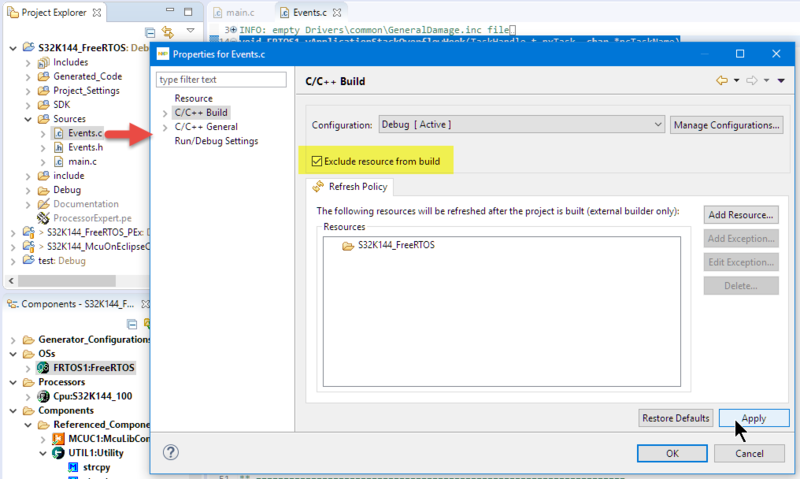 To solve this, first exclude the file Events.c from the build: Use the properties and turn on ‘Exclude resource from build’ (see “Exclude Source Files from Build in Eclipse“). It is great to see that Processor Expert at least continues to exist in the automotive part of NPX with the S32 Design Studio. However, that Processor Expert has been reduced to the S32K SDK and automatic component initialization and event handling needs a manual setup. Other than that, the first components work great in S32DS. 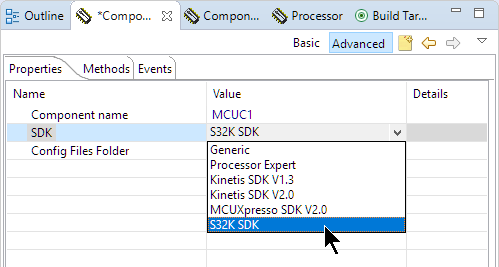 And for everyone using S32DS, the McuOnEclipse components offer the latest FreeRTOS and extra features like tickless idle mode, Segger RTT, Segger SystemViewer and Percepio Tracealyzer :-). 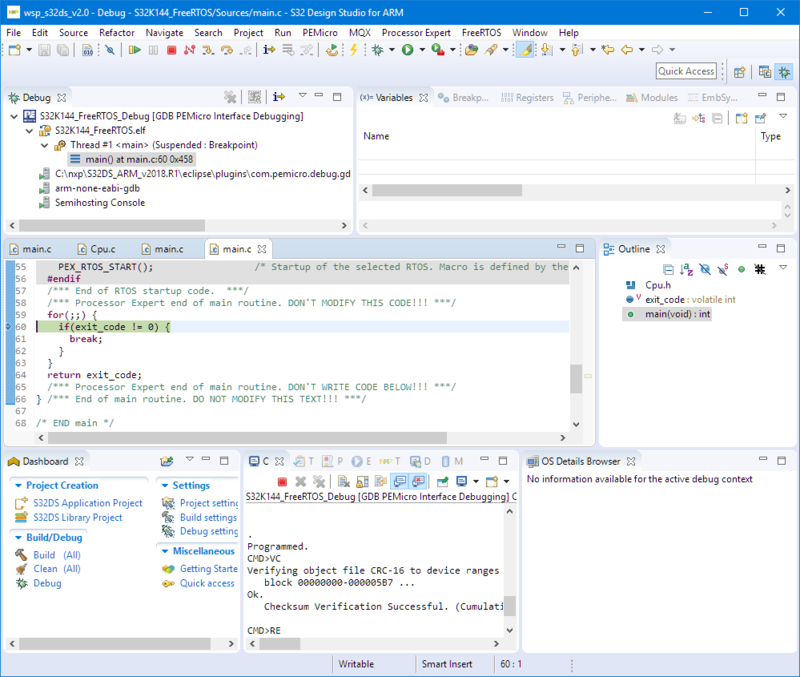 This entry was posted in ARM, Boards, Building, CPU's, Debugging, Eclipse, Embedded, FreeRTOS, gcc, NXP, Processor Expert, S32, S32 Design Studio, S32DS, S32K144EVB, Tutorial and tagged ARM, arm gcc, Building, Debugging, Eclipse, Embedded Component, Freescale, gnu gcc, Processor Expert, S32, S32 Design Studio, software, software project, technology, Tutorial by Erich Styger. Bookmark the permalink. 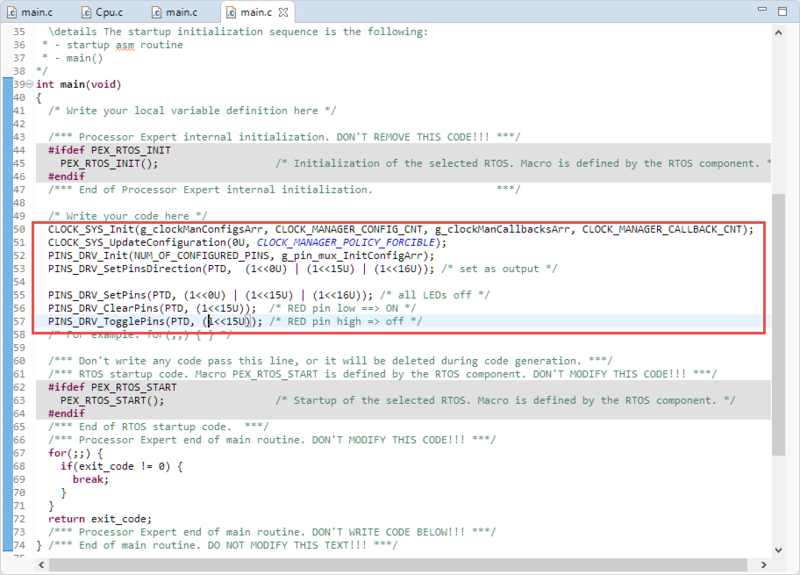 1. the FRTOS1_vOnSleepProcessing does not have any code targeting the S32K mcu. It raises an error: “you must enter low power mode (wait for interrupt) here!”. 1. Yes, it does not contain any specific code to enter low power mode, as this very much depend on the device. About 2) I see that SysTick_Handler() is defined only once in port.c? There are different variants depending on toolchain used, but for S32DS and gcc I only see it defined once, or what is what I’m missing? I’m using the 2018.R1 version. But maybe your SDK is different? What are you using? Actually, the processor expert includes the osif_baremetal.c file where there is another definition of SysTick_Handler. 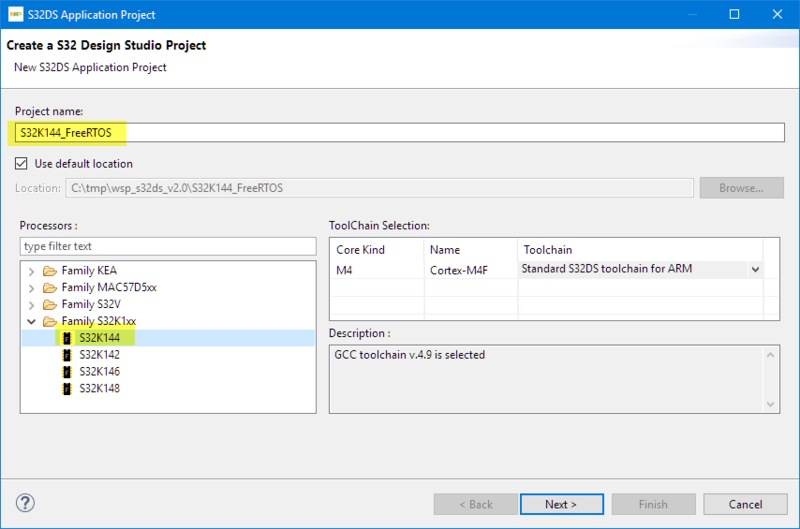 I believe you have added the wrong FreeRTOS component to your project? 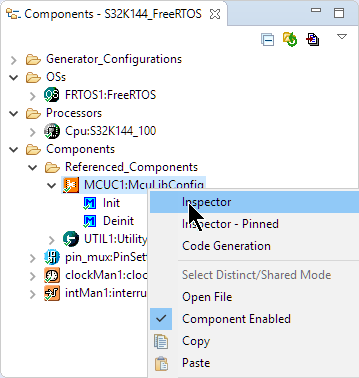 It seems to me you are using the FreeRTOS component from the S32 SDK, and *not* the FreeRTOS from the McuOnEclipse repository. Can you check this? 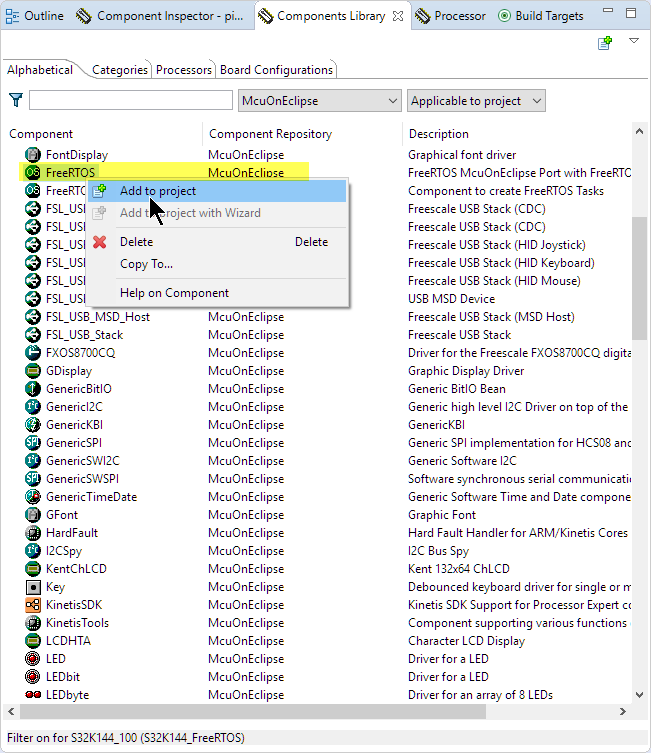 If you move the mouse cursor over your FreeRTOS in the project, then it should show ‘Repository: McuOnEclipse’ and not the SDK repository. Yes, I included the right component. There are other processor expert components that use OSIF component, so it must be introduced. You cannot have two operating systems in project. I’m not using OSIF. Which components are using/requiring this? EDMA, FlexCAN and sbc_uja11691 (the on-board CAN transceiver) components have as shared component the osif, which is not an operating system but an interface between device drivers and an eventual operating system. 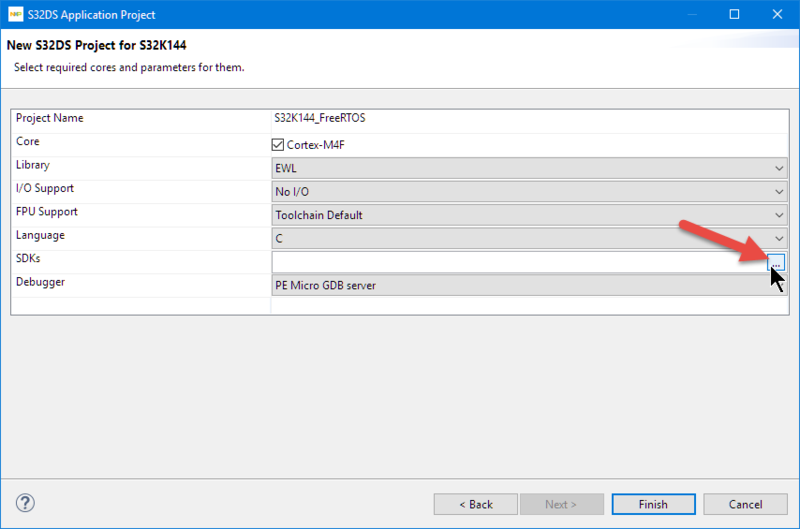 You can choose to use FreeRTOS (the one provided by the SDK) or a bare metal implementation, then the OSIF will interface the drivers with the desired implementation. 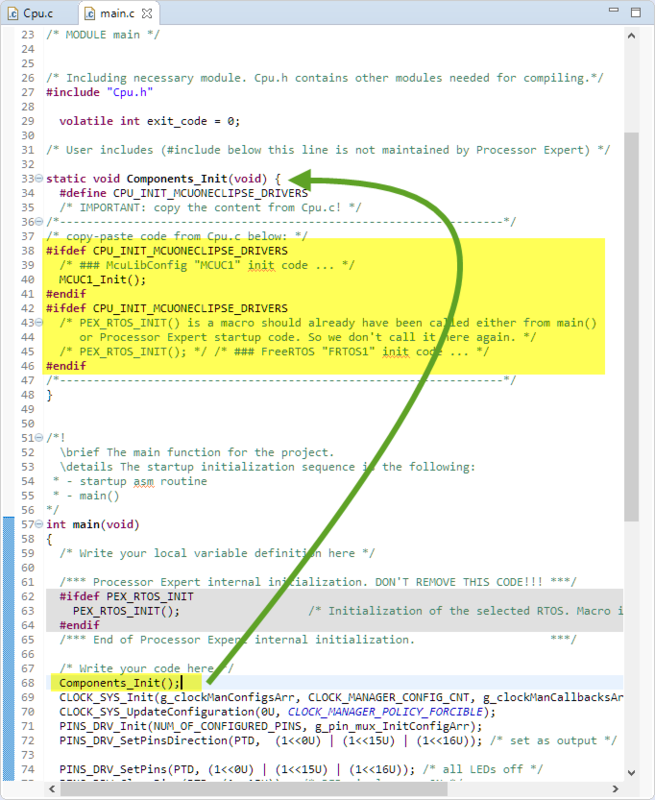 For example, when you call the driver function FLEXCAN_DRV_SendBlocking, in the function body there is a call to: “OSIF_SemaWait” that will use the FreeRTOS semaphore if you had chosen a FreeRTOS implementation, otherwise the bare metal implementation (which is written in osif_baremetal.c). In practice, if you choose a bare metal implementation, the .c file used by the OSIF component is osif_baremetal.c, while if you choose the FreeRTOS implementation, the .c file used is osif_freertos.c. The solution could be to adapt/add another .c file for the new os (freertos 10). I managed to get it working now with the OSIF component :-). I have updated the files on GitHub (https://github.com/ErichStyger/mcuoneclipse/tree/master/Examples/S32DS). 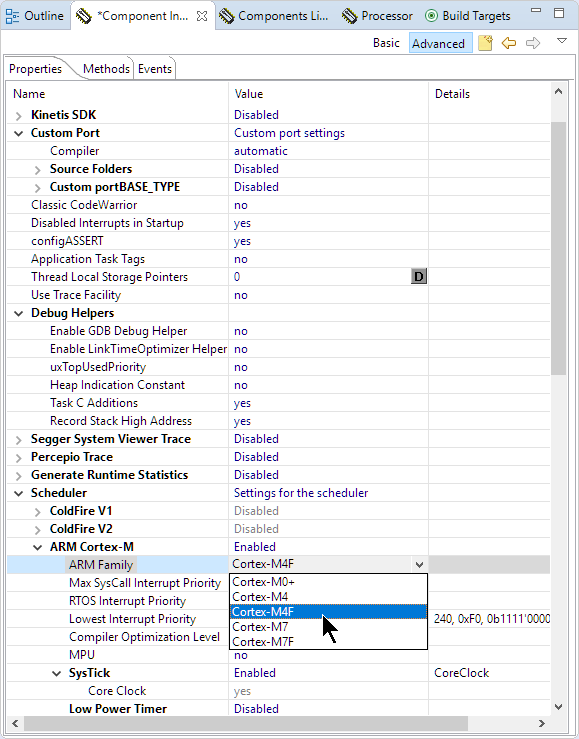 b) in the FreeRTOS component setting, use ‘Custom Port’ with ‘Source Folders’ enabled. c) This generates FreeRTOS into folders inside the Generated_Code. 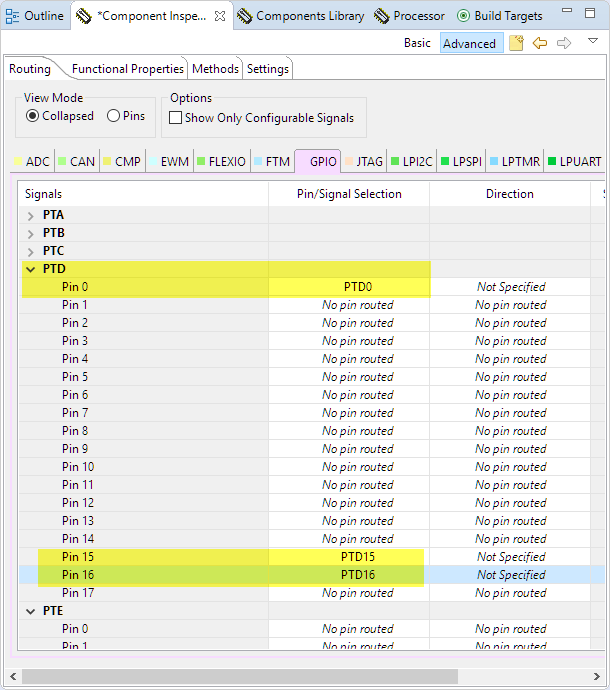 BUT: it requires an updated FreeRTOS component from my side. Interested to try it out? Thank you! If I will find issues I will contact you! Thus the compiler raises the following error: “undefined reference to ‘xSemaphoreCreateCounting’. when only static allocation scheme is available. Unfortunately, I have no control over the OSIF component or access to its sources. Only NXP would be able to improve that. I’ll pass that along to my contacts I have have, unless you have reported it already? Go ahead! I did not report this problem! I kindly ask you if you can take us updated with the possible news from NXP. Thank you! 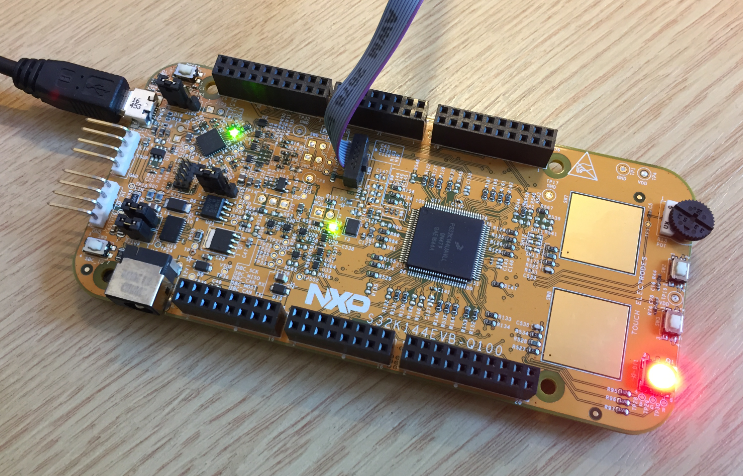 The NXP S32 SDK version of FreeRTOS is version 8.2.1, and static memory allocation is only available from 9.0.0 and higher. Oh yes, I knew that, but I hoped they could update the SDK (I mean S32K are processors targeting the automotive domain, but they do not provide a version of FreeRTOS with static allocation?!) Writing my own driver at this moment would be too time consuming. Thanks a lot for the support! I have asked if they plan for an update, will see. The other alternative would be to implement my own version of the OSIF. It is a matter of available time…. where this files should be coied? or I need to include this files in IDE? Ok,the green led blink now. Yes, you need to import the latest files from SourceForge (https://sourceforge.net/projects/mcuoneclipse/files/PEx%20Components/). Hi, I have a question. I would use the tickless mode with a low power timer. How can I set the low power timer as tick interrupt directly from Processor Component? I had no time (or need) to deep dive the S32 low power timer. Would probably need a couple hours to read the data sheets. But if you want, you can have a look how I did it for the K25Z: https://mcuoneclipse.com/2014/03/16/starting-point-for-kinetis-low-power-lls-mode/. Basically you need to setup the low power timer and deal with it in the FreeRTOS hooks. 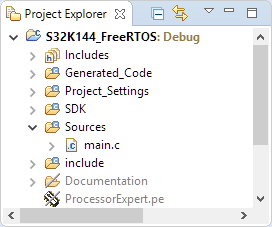 There are several levels of FreeRTOS plugins in S32DS. 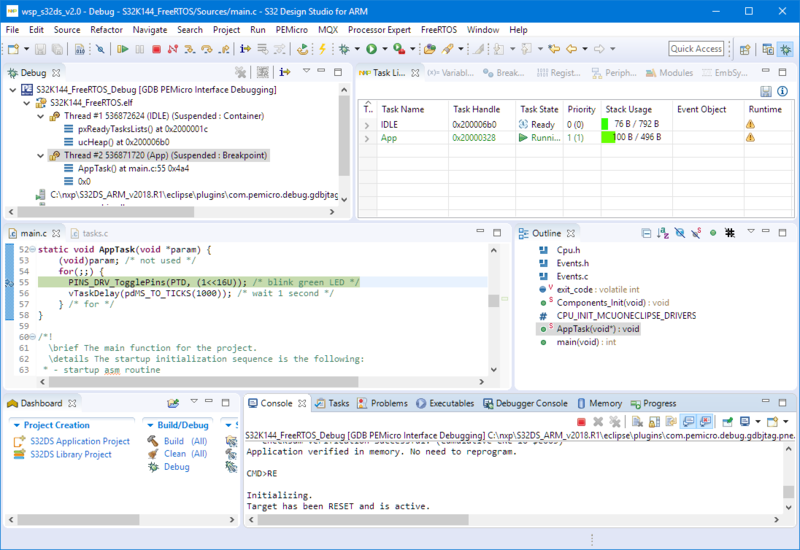 It already has the FreeRTOS TAD plugins (see https://mcuoneclipse.com/2016/07/06/freertos-kernel-awareness-for-eclipse-from-nxp/) installed, but the plugins are outdated (v1.0.1, while MCUXpresso IDE v10.2 comes with 1.0.4). I have updated the plugin at least to 1.0.2 which is available from the update site mentioned in that article. 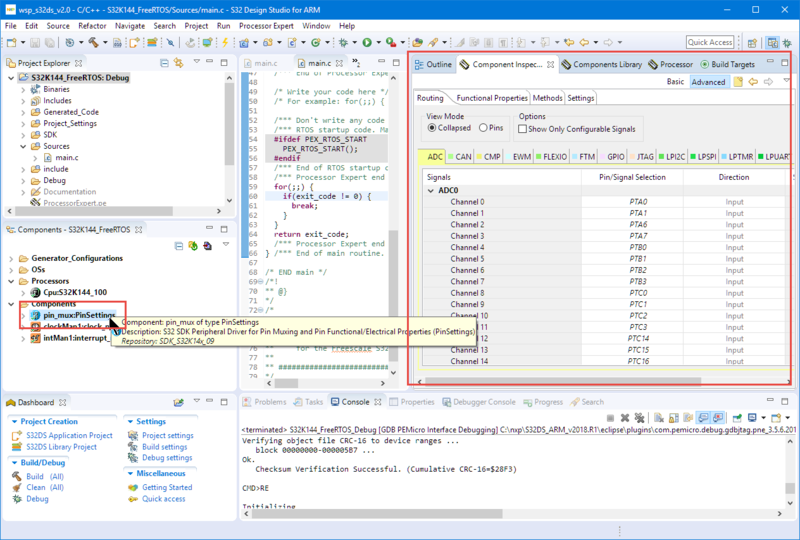 As for other debugging features, I have upgraded the SEGGER J-Link to work with FreeRTOS too, have a read at https://mcuoneclipse.com/2018/06/29/show-freertos-threads-in-eclipse-debug-view-with-segger-j-link-and-nxp-s32-design-studio/ . Thanks Erich. Is this actually the same plug-in that MCUXpresso uses or are they two separate things/code-bases? It is the same plugin and source base. It was originally released for KDS (this is where I have it found it first with the update site). It seems that the S32DS then inherited/used that version (but never updated it). MCUXpresso IDE is using the latest versions (but I have not seen a dedicated update site for it yet, I have to check). I was told a while back (last year I think) that NXP wanted to open source the plugin. I have not seen it released yet. With all the acquisition and Qualcomm stuff, it might have been delayed too. I followed your step, when do generate code, failed with below error. Do you have that file Drivers\Common\GeneralParameters.inc present in C:\NXP\S32DS_ARM_v2018.R1\McuOne? 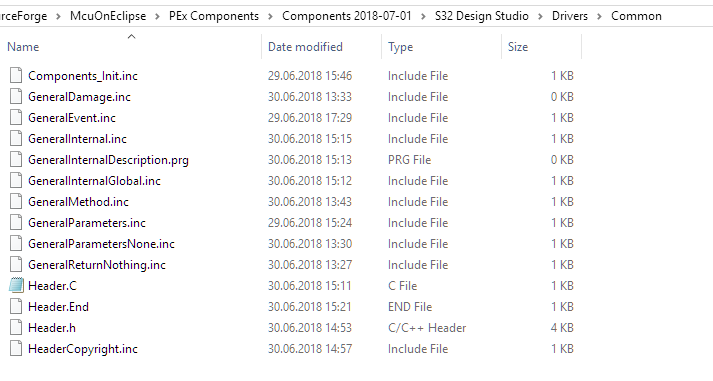 It seems to me that you have not manually compied the files from the folder named ‘S32 Design Studio’ which is part of that zip file from SourceForge? Can you check this? Yes, after copy the files into NXP/…/common/, it can compile pass. Can you help to resolve my issue? Did you turn on counting semaphores in your FreeRTOSConfig.h? I think NXP has to fix that osif component. I had contacted them and they indicated that they might update the component in a new release, but I have not checked if this already happened. But the same failure if I set the define to 0. I am using the S32K148EVB-Q176 and the LED Blink Example doesn’t seem to work neither the of them. I am sure someone can tell me what mappings to setup in the pn_mux:PinSettings [inspector] but more then that I would like to know how to look this up in the documentation, I don’t see anything in the Reference Manual. I put the board under a microscope and found the following labels on the 3 LEDs near the power connector, DS1, DS2, D3, and the single LED next to the switches was labeled. D11. I would also like to know how these relate to the pin_mux mappings? not sure how much your board is different from the one I have used. And there are no schematics for your board available? I found the issue, this model board is using PTE. I found this in the user manual, but even so the user manual has the RGB pin values wrong, for R and B they are reversed. The board I am using is also active high not active low on each pin. 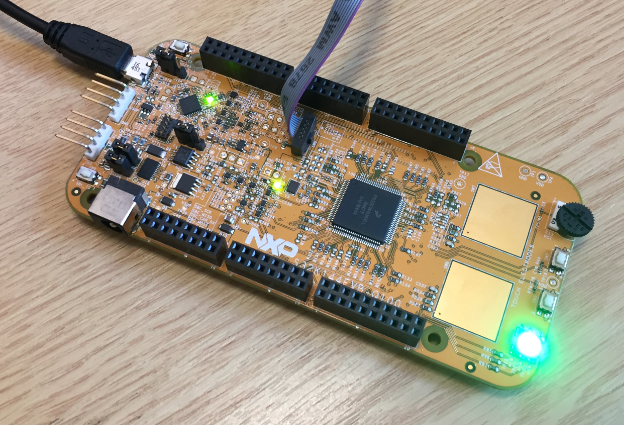 I came accross your article on using FreeRTOS 10 in S32 Design Studio with NXP controllers (in my case S32K148). Thanks a lot for this article, it helped my very much in my setup process. What I did so far is to dowload the latest Components release from SourceForge (2018-09-30) extracted the archive and placed the contents in C:\NXP\Drivers\Common. After creation of my project, I imported the PEupd files from the extracted archive and had to copy the inc files to my component repository manually. The mentioned file “MainSettings.inc” does not seem to be located anywhere on my file system. Where can I get it from? I’m sorry about that problem, must be an oversight on my side, and I have to update the package. and this should fix your issue.